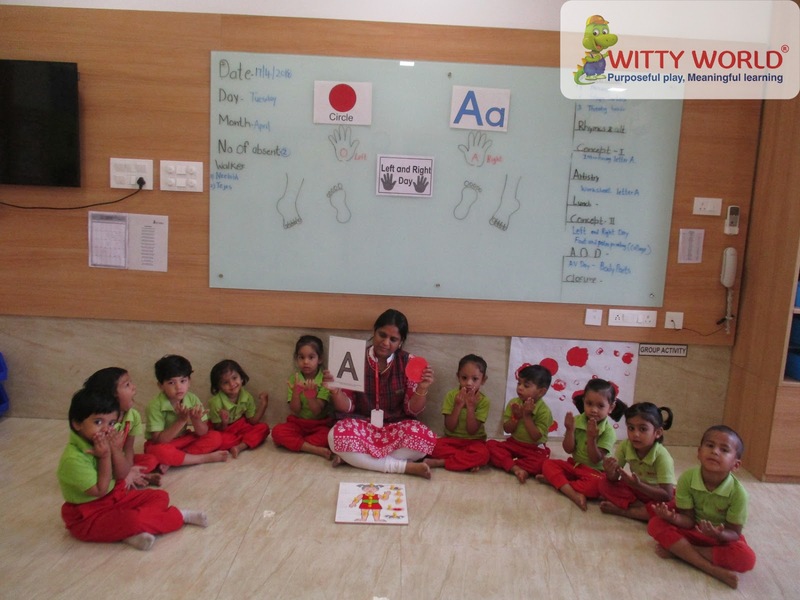 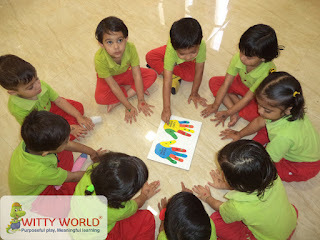 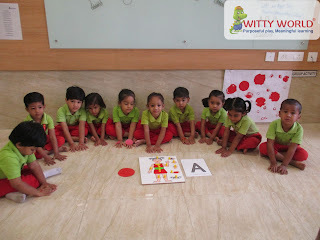 The tiny tots of Nursery, Witty World, Bhilwara had Left and Right Day on April 17, 2018. 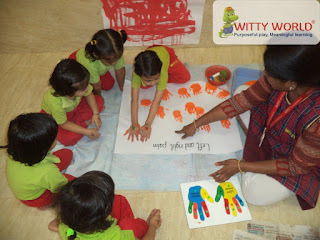 The children came with a circle drawn on left hand fist and a letter A written on right hand fist. 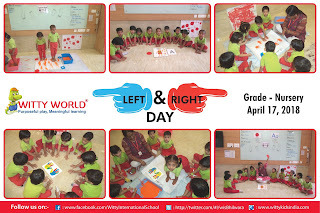 The children took palm impression of their right and left hand and right and left foot. Teacher did different physical activities to make children familiar with the concept.